Donald Trump is taking aim at another automaker for making cars in Mexico. This time it's Toyota, which plans to begin building its Corolla compact car there. The automaker announced its plan to open a factory in Guanajuato, Mexico, in 2015. The company, which is based in Japan, stressed Thursday that the new Mexico plant, which will employ 2,000 people, will not cause any job losses in the U.S.
"Toyota Motor said will build a new plant in Baja, Mexico, to build Corolla cars for U.S. NO WAY!" Trump tweeted on Thursday. "Build plant in U.S. or pay big border tax." Toyota (TM) has already broken ground for the new factory, which is actually in Mexico's Bajio region, not Baja. Toyota does have another factory in Baja that builds pickup trucks, some of which are exported to the United States. The Corolla is the world's best-selling car. In a statement, Toyota pointed out that it has $22 billion invested in the U.S., which includes 10 manufacturing plants and 1,500 dealerships that employ a total of 136,000 workers. The majority of cars Toyota sells in the U.S. are manufactured here. Toyota also exports cars from the U.S. to other countries. The Guanajuato factory will start production in 2019 making completely redesigned Corollas that will be very different from the ones on sale now. All of the Corollas that are currently sold in the United States are made at plants in either Ontario, Canada, or Mississippi. Once Corolla production begins in Mexico, Toyota's Ontario plant will shift to producing more expensive mid-sized cars. 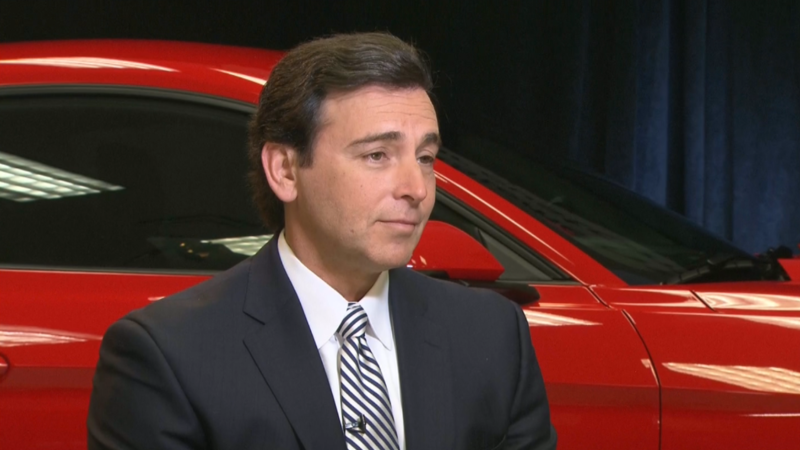 Ford recently canceled plans to build a new factory in Mexico, instead investing money in a factory in the U.S. Like Toyota, Ford had recently been the target of a Trump tweet, although Ford (F) CEO Mark Fields insisted that was not a factor in the decision. Trump also hit General Motors (GM) for building a hatchback version of the Chevrolet Cruze compact car in Mexico. In response, GM pointed out that the vast majority of Chevrolet Cruze cars sold in the U.S. are built in Ohio. The cars built in Mexico are primarily intended for other markets, although a few are sold in the U.S.